So, like all Katy Perry music videos besides “I Kissed a Girl,” “Roar” is all about Katy learning to become strong after a man carelessly threw her heart on the sidewalk like an egg. She’s scared at first because there are tigers and alligators and large spiders everywhere but then she relives a scene from The Lion King and becomes sexually empowered by cave paintings and waterfalls. 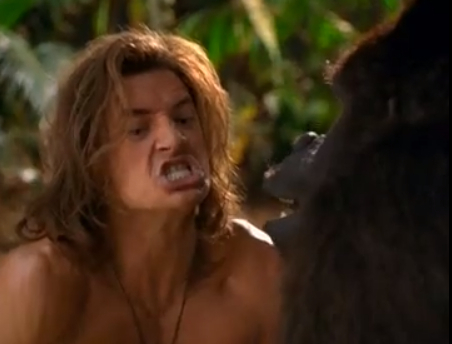 Where the hell is Brendan Fraser throughout this vine-swinging cleavage fest? Sigh.